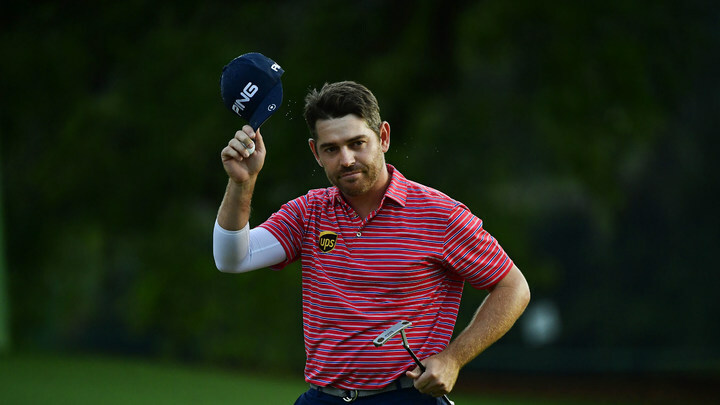 Louis Oosthuizen produced a stunning second round to move into a share of the halfway lead at The Masters with Justin Harding not far behind, writes WADE PRETORIUS. Harding continues to play on the momentum of a almost-unbelievable rise from outside the top 700 to inside the Augusta field. Now, he’s tied-sixth and just one back with 36 holes to play. Joining him at six under are Tiger Woods, Xander Schauffele and Zach Johnson. That’s some company for a player who’s making his way around the famed venue for the first time. He would become the first player since Fuzzy Zoeller to win on debut; a streak that stretches back to 1979. Not that he’s thinking of the Green Jacket just yet. There is a tremendous amount of golf between now and Sunday’s back nine. The field around him, also makes it that much tougher, with five Major champions – including countryman Oosthuizen – tied for the lead. Oosthuizen bookended tap-ins on the par three fourth and sixth with 25 foot putts on the first and seventh before bogeying the eighth. Another beautiful tee shot into a par three brought a birdie on the 12th and the SA No 1 birded the two par fives on the back nine. ‘I gave myself a lot of opportunities and made that odd putt for par when I was in trouble and that really helped,’ he said. Oosthuizen’s fine run helped him join Francesco Molinari, Adam Scott, Brooks Koepka and Jason Day on top and looking down some fine golfers . If Harding can learn anything, he would do well to take in Oosthuizen’s post-round advice. ‘I just need a decent, solid round tomorrow,’ Oosthuizen said. ‘Not play yourself out of it and stay in touch with everyone. This golf course, you win it on the back nine on Sunday.